The East Columbus Veterinary Hospital opened for business in December of 1981, in its present location at 855 E. Livingston Ave., in Columbus, Ohio. We provide full service Veterinary Medical care, grooming and boarding. Our clients and patients primarily come from the downtown, Driving Park, east and south Columbus, German Village, Merion Village, Old Oaks, and Old Town East. Because of the low cost of our veterinary services, we have regular clients who make long drives from Athens, Dayton, Grove City, Washington Court House and many other towns or cities in this area. Our goal is to keep Veterinary care affordable, provide veterinary product and services for your pet which are effective yet won’t break your budget. To our clients, who have financial challenges, when their pet requires complex medical or surgical care, we do offer payment plans. The bottom line, is that we want to establish a long-term relationship with you and your pet. We will stick with you when the going is rough. 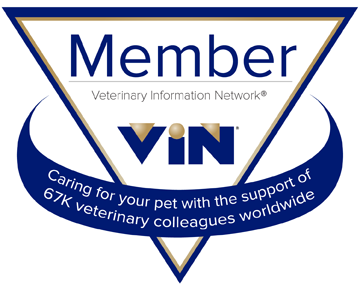 We firmly believe that clients should establish a long-term relationship with their veterinarian, instead of price shopping and going to one place for this and another place for that. Go to one place where you get reasonable prices, and personable service with each visit. You will find that you will spend less money and get better care over the course of your pet’s life. We want to be the vet that provides all your veterinary needs!